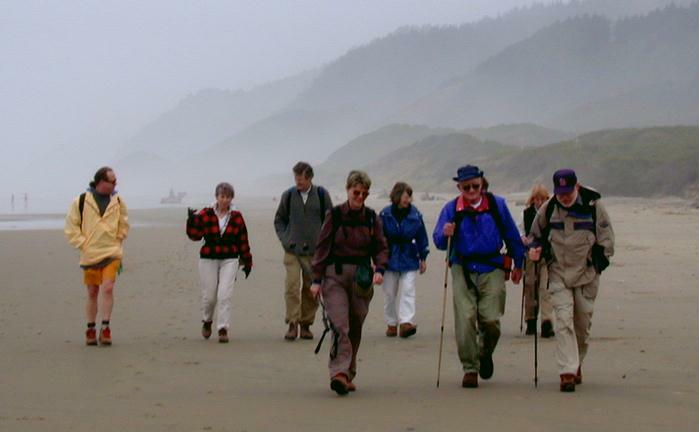 Hikers Steve Helwig, Helen Liguori, William Watson, Sharon Ritchie - leader, Barbara Sutherland, Bill and Margaret (behind Bill) Prentice, Sharon and Jim Duncan and me (Wayne Deeter) walking backwards behind the camera. 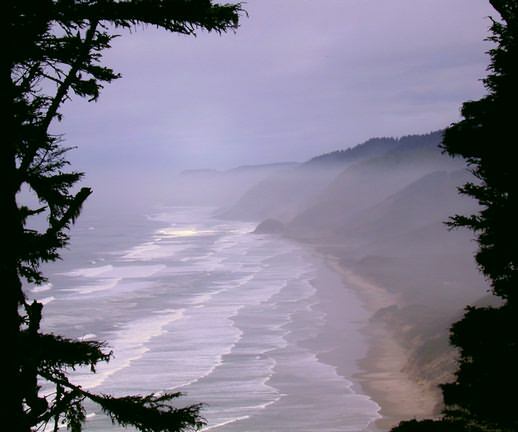 Looking back up the beach to the north from where we came. 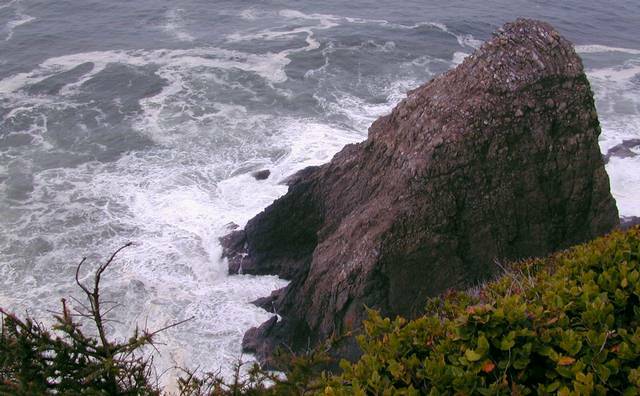 A rock just north of the lighthouse. 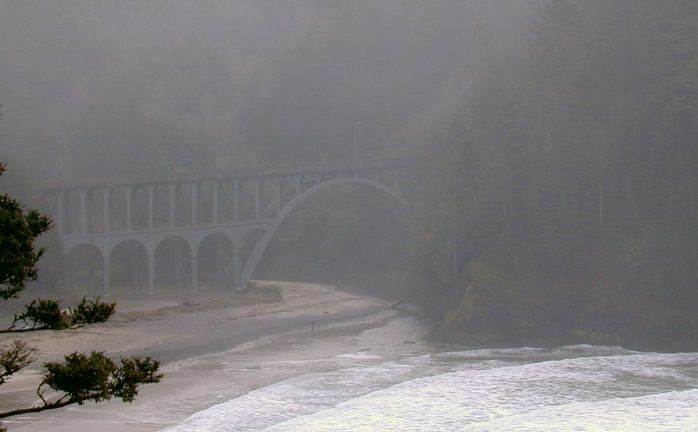 The bridge for US 101 just south of Heceta Head. 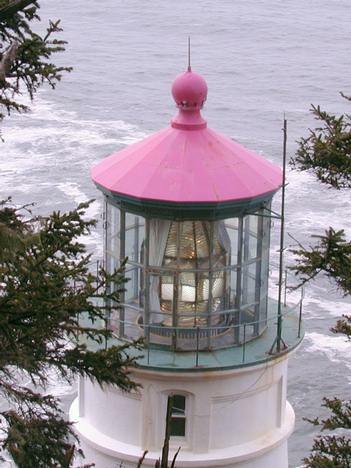 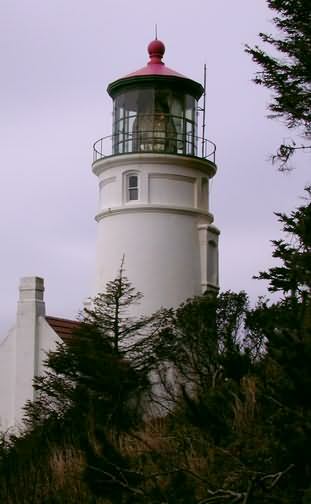 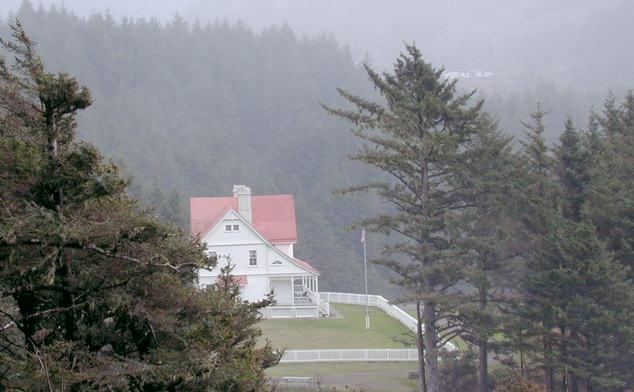 Heceta House, formerly the housing for the two assistant lightkeepers.